Who doesn’t love the fall season? A thick carpet of crunching leaves underfoot, rich and varied wildlife busily preparing for winter and a kaleidoscope of reds, browns and yellows make it a beautiful time of year filled with stirring sights and sensations. Aside from that, the NFL season and a lot of the best TV series start! Not to put a dampener on things, but burglars also like the fall. The days get shorter and the night time is when prowling burglars find it easier to commit their crimes. Before you begin enjoying the views outside your window or heading off on vacation, it’s time you checked your house is sufficiently safe and secure from would-be intruders and make any necessary improvements. Houses without top quality burglar alarms are just asking to be burgled. Just the sight of a burglar alarm box on the outside of your house will be enough to make them think twice about breaking in. Bungling burglars with poor eyesight or little sense will soon be sent scarpering if they attempt to burgle your abode and the alarm sounds. For your family’s safety and peace of mind, get a high quality burglar alarm fitted. Another piece of home safety equipment certain to ward off burglars is a surveillance light. These can be fitted to the front and back of your home and can be set to remain on constantly at night or use a built-in motion detector to spotlight your front or rear garden when something moves toward your abode. Again, the mere sight of a security light poised to give a burglar a nervous time in the limelight will often be enough to dissuade them from attempting to enter your domicile. As well as surveillance lights, it is a good idea to have wireless motion alert alarms fitted around your property. These use the same kind of motion detectors as surveillance lights, but sound an alarm rather than shine a light when a would-be intruder approaches. A house with surveillance lights and motion alert alarms working in unison makes it an extremely burglar-resistant home. 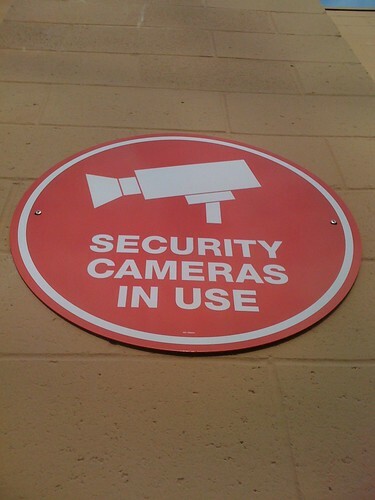 Surveillance cameras are despised by burglars and any home that has them installed is sure to be more secure. Burglars don’t like to be filmed and will avoid cameras at all costs. Catching a burglar on film will enable you to provide the police with good clothing, height and build descriptions or a full identification if they dozily decided a mask wasn’t necessary. Have them installed and join the fight against crime. Homeowners should always make sure their windows and doors are securely locked at night and when the property is left empty. However, to further guard against intruders, windows and sliding doors can be fitting with glass break alarms. Remember not to provide smash and grab burglars with targets by keeping valuables out of windows at night and when no one is at home. 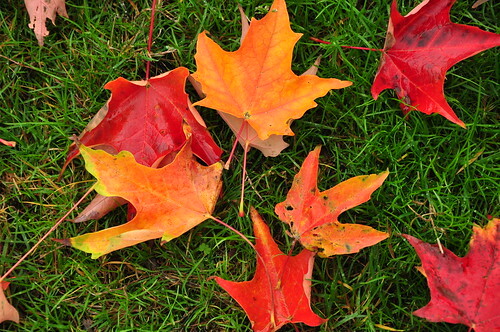 The fall is a treasured time of the year, but not one can afford to be complacent about home security. Follow the pointers above and you can relax knowing your home and everyone and everything in it are completely safe and secure from burglars on the prowl. Sebastian recommends that when shopping for burglar alarms, you find a solution that suits your family or business rather than going for the cheapest model. Decorating a Studio Apartment in Dubai – Six Tips to Follow!